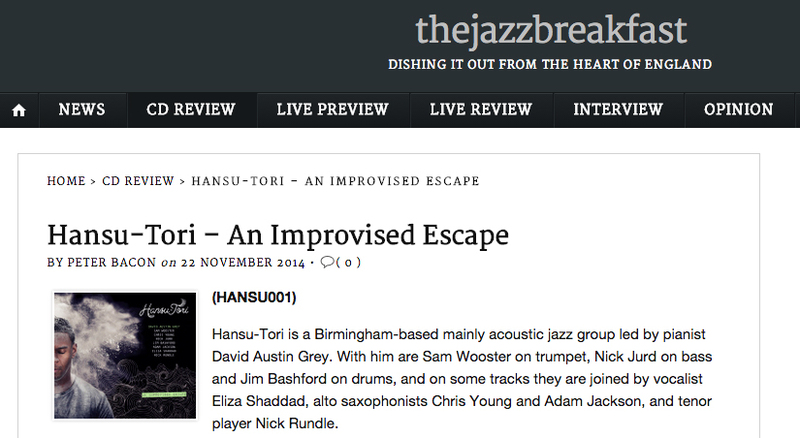 An excellent 4-star review of the new Hansu-Tori album from Jazzwise. 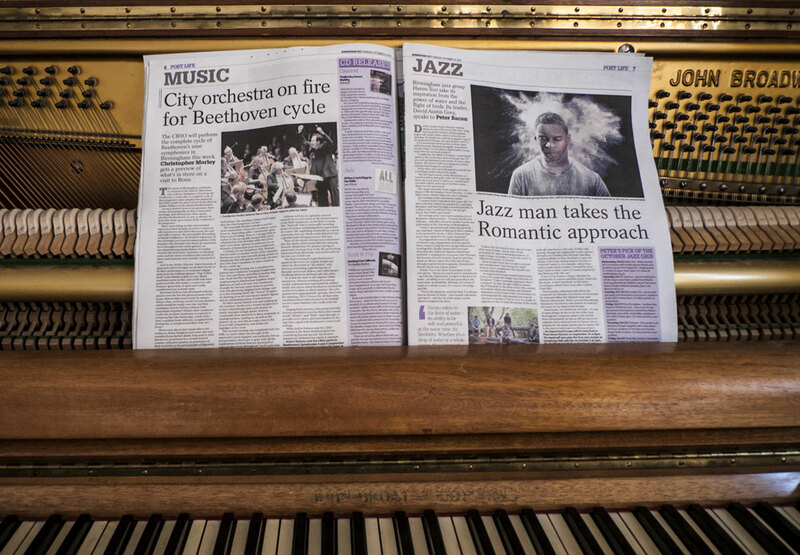 A lovely review of 'An Improvised Escape' from Peter Bacon over at The Jazz Breakfast. 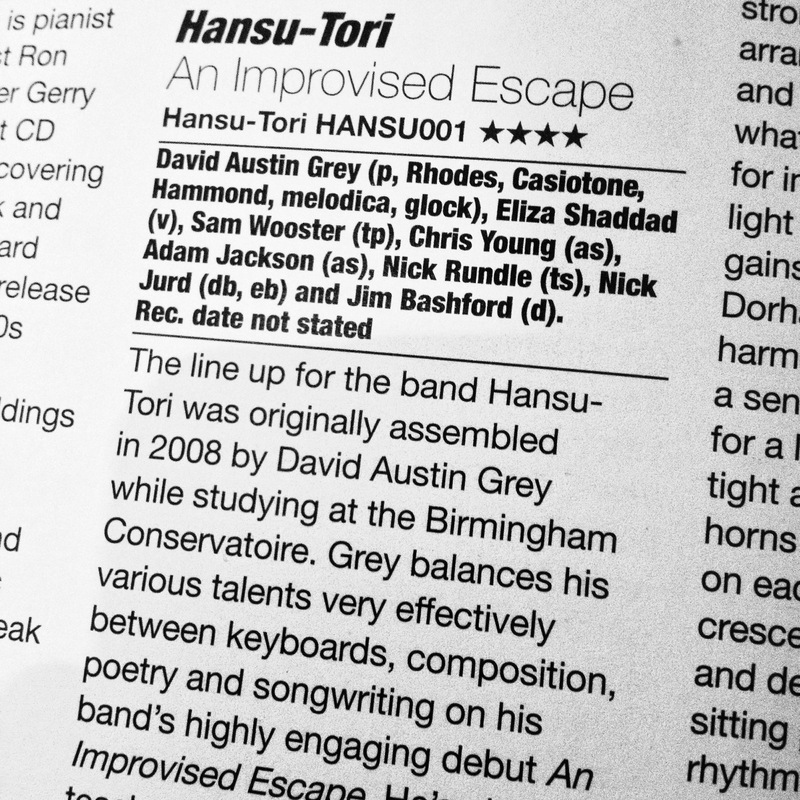 thejazzbreakfast interviews David Austin Grey about his musical influences and Hansu-Tori's latest album. 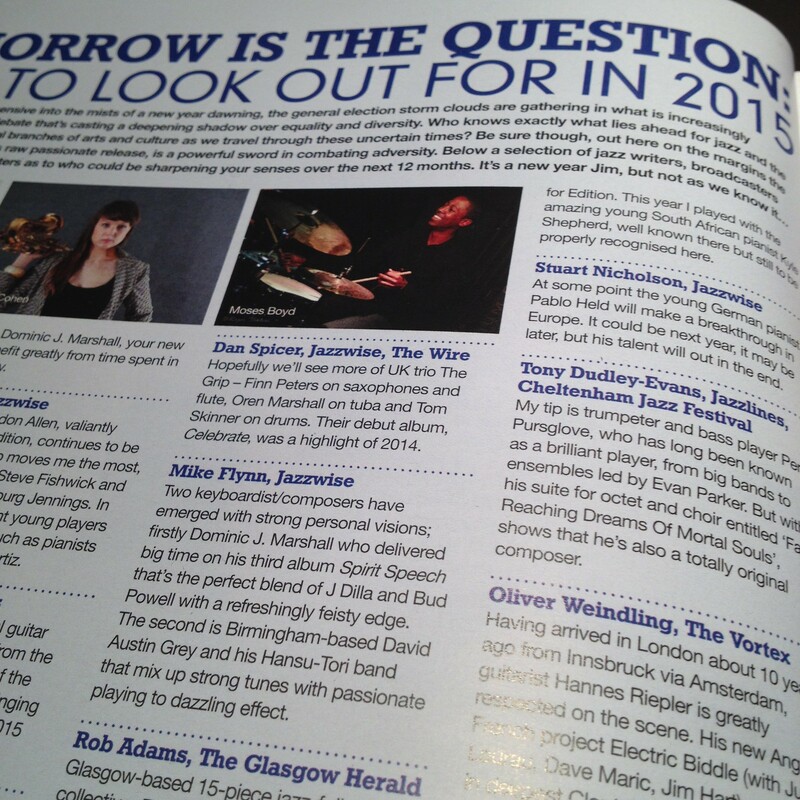 Hansu-Tori bandleader David Austin Grey is listed as 'One To Watch' in Jazzwise Magazine's 2015 list. Birmingham jazz group Hansu-Tori to play a number of city gigs. Copyright © 2014 David Austin Grey. All Rights Reserved.